Background/Info: Scarlet Leaves in my opinion is one of the most talented new-wave bands from Brazil. The band was set up in 2001 and now features Claudia O Ghisi (vocals & lyrics) and Audret Haas (guitar, electronics). 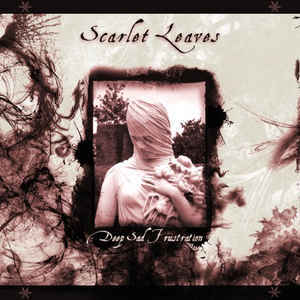 Scarlet Leaves do not release new stuff on regular basis. The previous studio album “Outlining State Of Mind” was released in 2008. Notice by the way that this ‘new’ work was already released in 2015! Content: The music of Scarlet Leaves feels like a voyage into distant, but unforgettable years. I feel like I was awakened somewhere in the midst of the 80s discovering a new 4AD band. The melancholia running through this work might appeal to lovers of bands like X Mal Deutschland and Cocteau Twins, and also the most moody side of The Virgin Prunes. The songs reveal a dark reverie accentuated by the beautiful and sometimes transcendental vocals of Claudio O Ghisi. The songs clearly bring the 80s spirit back to life. + + + : The 80s come to life with a band like Scarlet Leaves. This is pure good-old new-wave music accentuated by deep feelings of sadness, but still by a wonderful wafting sensation. The “Alma”-song is a track to watch out for while the “Moritz Schoenermann 80’s Mix” has this extra clubby approach. – – – : You better avoid this album if you’re tired of 80s emulations. Scarlet Leaves doesn’t bring anything new in the genre. Conclusion: Scarlet Leaves sounds like turning back the hands of time bringing you back to the glorious 80s. That’s already a while ago, but one thing is for sure, new-wave still influences a lot of bands and some of them are damned efficient pupils. Best songs: “Alma – Moritz Schoenermann 80’s Mix”, “Alma”, “The Misfirtune”, “Godforsaken”, “Luxeriae”. 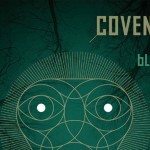 'Sound Mirrors', the new Covenant single out now on vinyl and CD - order your copy here !